A responsive website automatically changes to fit the device you’re reading it on. Typically, there have been four general screen sizes that responsive design has been aimed at: the widescreen desktop monitor, the smaller desktop (or laptop), the tablet, and the mobile phone. In online marketing, a shopping cart is a piece of e-commerce software on a web server that allows visitors to an Internet site to select items for eventual purchase. Safely accept money online via a payment gateway. A merchant service provided by an e-commerce application service provider that authorizes credit card or direct payments processing for e-businesses, online retailers, or traditional brick and mortar. Shopping Cart CMS is a Content Management System that allows you to sell anything, beautifully. This is an eCommerce solution that gives both store owners and developers complete control. Do you need a Shopping Cart / eCommerce website? Our service has more features and control than Shopify, Square Space, Big Commerce Combined. Schedule a consultation for your free demo. Powerful Shopping Cart – It is one of the most important aspects of your online store. 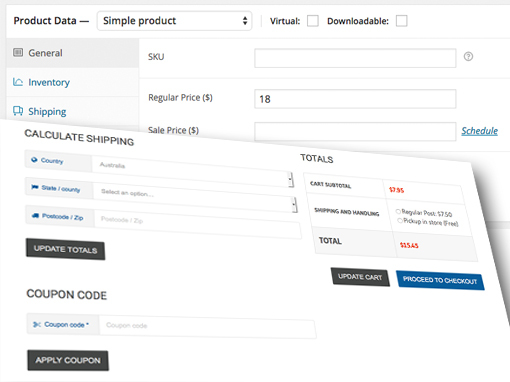 We create a powerful shopping cart that is user friendly and adds to your conversion rate. State-Of-The-Art Security – We implement secured payment gateways using 128 bit SSL encryption to ensure your customer’s credit card data is always secure. Search Engine Friendly – Your ecommerce website will be search engine friendly and attract more traffic than a cookie cutter template service and that translates into better sales. Easy Store Management – User friendly CMS allows you to manage your online store easily without having to worry about the codes.